Star Cast: Nawazuddin Siddiqui, Amrita Rao, Laxman Singh Rajput, Radha Sagar & Others. 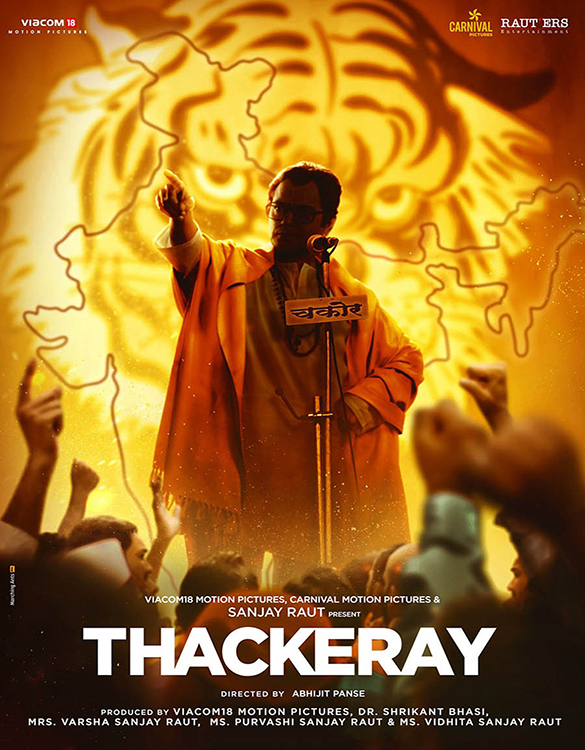 SYNOPSIS:: From a firebrand journalist to an influential political leader who played a major role in shaping the Marathi identity, Balasaheb Thackeray’s journey is also the story of birth and evolution of Shiv Sena. The film chronicles the life and times of the charismatic leader whose legacy continues to live on through his words and deeds.